April 27, 2015 – Governor Steve Bullock VETOED 2015 bill that would have required criminal intent for prosecution and increased the legal limit for knives carried concealed without a weapons permit. 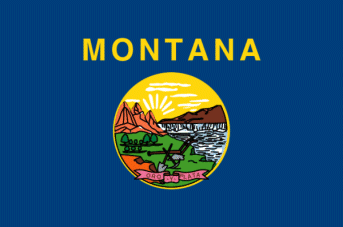 UPDATE (April 16, 2015) – 2015 MT HB 533-enrolled (passed both houses) is ready for Montana Governor Steve Bullock’s signature. UPDATE (April 1, 2015) – On third reading HB 533 passed the Senate and is now to the House for concurrence. UPDATE (March 26, 015) – The Montana Senate Committee on Judiciary has recommended to the Senate to pass as amended. UPDATE (February 25, 2015) – The Montana House passed 2015 MT HB 533-House version by a vote of 54 to 46. Contact your Montana State Senators and ask for their vote to approve HB 533. UPDATE (February 23, 2015) – 2015 MT HB 533 was amended slightly and passed from the House Committee on Judiciary with a recommended to the House to pass as amended. (February 13, 2015) – Montana State Representative Kirk Wagoner (R-75), from Montana City, has introduced House Bill 533 which the American Knife & Tool Institute is supporting. This bill includes an element of criminal intent that we believe should be a requirement in laws restricting the possession of man’s oldest tool. Montana HB 533 would also raise the lower limit for knives under the State’s Concealed Carry Weapon law, in Section 2. Section 45-8-8-316 MCA, from 4 inches to 6 inches. If passed, this would mean that it would be legal to carry a knife with a blade under 6 inches long without a concealed carry permit. This bill has been referred to the House Committee on Judiciary. The Montana legislature convened on January 5, 2015 and is scheduled to adjourn approximately April 27, 2015. That’s not much time! Encourage your legislators to support this pro-knife bill! Montanans – Sign up as a Free Grassroots Supporter to receive any email notices of Call to Action.